Arrive at Srinagar airport and you are transferred to houseboat by speedboat. Check in the houseboat and relax for some time. Rest of the day is at leisure for your individual activities. Overnight stay at the hotel. 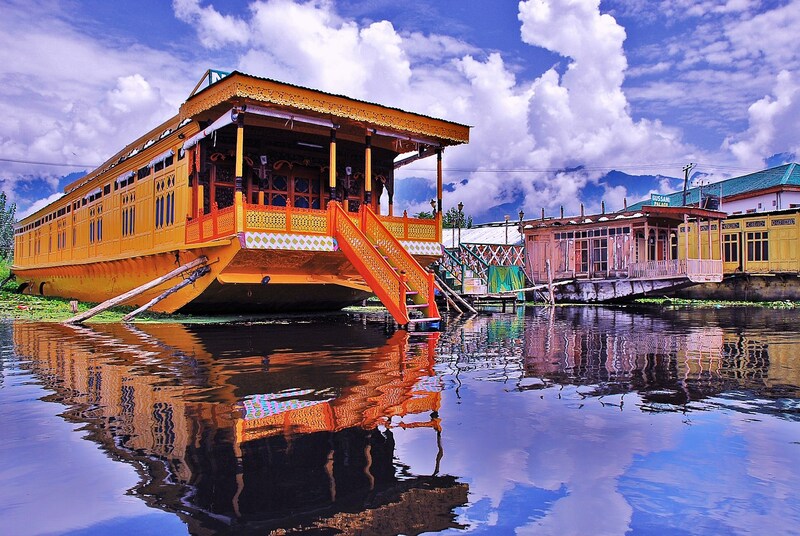 After Breakfast check out the houseboat and proceed to Gulmarg. On arrival check in the hotel and relax for some time. Rest of the day is at leisure for your individual activities and you can spend your day by exploring picturesque location like Golf Course and enjoy the cable car ride to Khilanmarg Snow Point. In evening back to the hotel. Overnight stay at the hotel. After Breakfast check out the hotel and proceed to Pahalgam. On the way visit Avantipur Ruins – the 1100-year-old temple dedicated to Lord Vishnu. On arrival at Pahalgam check in the hotel and relax for some time. In evening explore the local bazaar for shopping. Overnight stay at the hotel. After Breakfast proceed to full day sightseeing of Chandanwari Betaab Valley and Aru Valley. Surrounded by snow-covered mountain peaks and dense pine and deodar forests, this valley is the mouth of River Sheshnag. After exploring these sightseeings back to hotel. Evening is at leisure for your individual activities. Overnight stay at the hotel. After Breakfast check out the hotel and proceed to Srinagar. On arrival visit Shankaracharya Hill Temple and Grand Mughal Gardens which includes Chashme Shahi, Nishat Bagh & Shalimar Bagh. Later check in the hotel and relax for some time. Evening is at leisure for your individual activities.Overnight stay at the hotel. After Breakfast proceed to full day sightseeing of Sonamarg. It is situated at a height of 2740 meters. After sightseeing back to srinagar. Evening is at leisure for your individual activities.Overnight stay at the hotel. After Breakfast check out the hotel and proceed to Srinagar airport to board a flight for your onwards journey. Please Note: Customers landing in srinagar post 3PM will be offered Rs. 250 PP as lunch cost. If you have not decided yet or wants to customize tour itinerary or hotels listed above in "Charismatic Kashmir Super Saver Tour Package By Make My Trip", then we can change the travel itinerary and make a personalized, tailor-made holiday package, especially for you. We can modify this travel package as per your itinerary, budget, duration and the tourist places you would like to visit, including transportation and airfare should be included or not. Please fill the form below to contact us.